Feast of Saint Paul's Shipwreck is a religious feast and public holiday in Malta celebrated on February 10. Paul the Apostle is one of the patron saints of Malta. 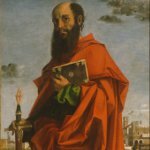 Saint Paul was an apostle who taught the gospel message of Jesus Christ and spread the Christianity in the first century AD. He was not one of the Twelve Apostles. Fourteen books in the New Testament have traditionally been ascribed to him. According to legend, Saint Paul shipwrecked on the island of Malta on his way back from Jerusalem to Rome. Publius, the first Bishop of Malta, cordially received Paul and his fellow travelers. During his stay on Malta, Paul healed Publius' sick father and the rest of the sick on the island. The islanders paid Saint Paul great honor and brought him the provisions when he eventually set sail. Saint Paul's shipwreck is considered one of the greatest events in the history of Malta. Its feast day was even declared as one of the country's public holidays. The main celebration is held at the Collegiate Parish Church of St Paul's Shipwreck in Valletta, the capital city of Malta. On February 10, the wooden statue of Paul the Apostle is paraded through the city streets regardless of the weather. The statue dates back to the 17th century.